Today we chat with Jamie Laing, enigmatic star of Channel 4’s hit show Made In Chelsea. 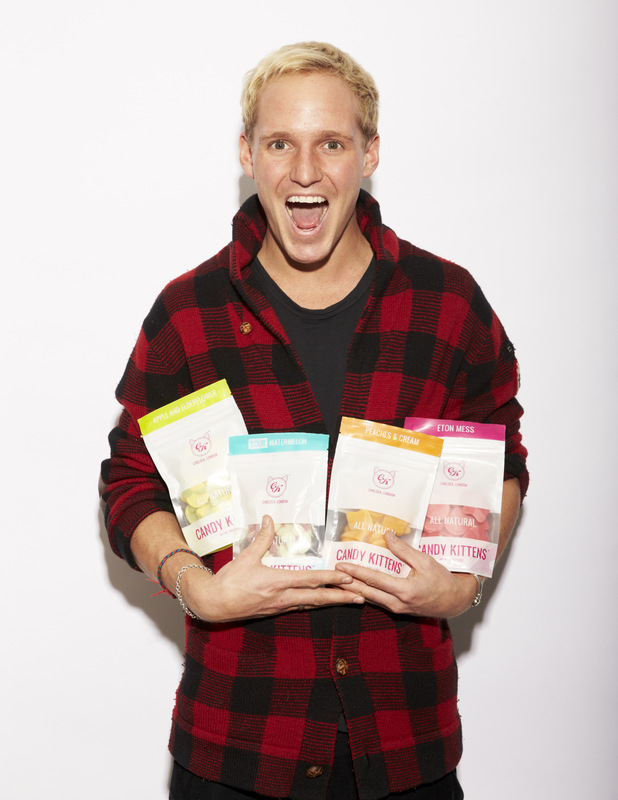 Jamie has recently founded Candy Kittens, a gourmet confectionary and fashion brand based in London. 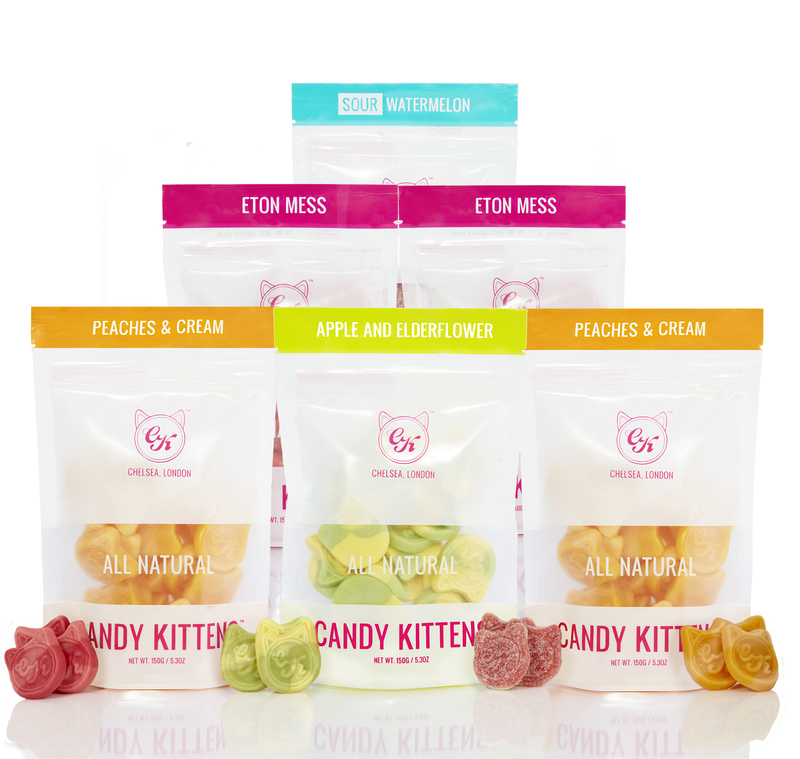 Although a relative newcomer to the traditional confectionary market, Candy Kittens is absolutely flourishing. The brand has built a strong online presence, engaging in a fun way with its customers with frequent ‘pop-up’ events and has recently been stocked in the major supermarket chain Waitrose. So Jamie can you tell us a little about Candy Kittens and your reasons for founding the company? I came up with the idea of Candy Kittens whilst at Leeds University. I wanted to work for myself and needed an idea. I decided that I would combine three of things that I loved- sweets, fashion and girls. We love the beautiful design of your products and packaging. Can you tell us where you get your design and product inspiration? Sweets, eaten by all ages, are traditionally packaged with bright colouring and images aimed to excite young children. We wanted to challenge this and make a premium product that would be inviting to a more adult market by using bold and striking designs that were beautifully packaged. We also wanted to create sweets that taste delicious but were as healthy as possible. Our range is made with all natural flavours and colourings and they are also gluten free. We started with four original flavours and we are now working on a sugar free variety. Your guerilla marketing campaigns, such as Easter 2014 Say No to Chocolate are incredibly fun and engaging. How important is it for you to communicate with your customers? Our customers are hugely important to us and customer service is key. We are a fun, young brand and one of the first businesses to start via social media. We have created a strong online fan base which has proved invaluable to us. We do pop up shops and tour with our Candy Van because, as a brand, we are all about meeting people. 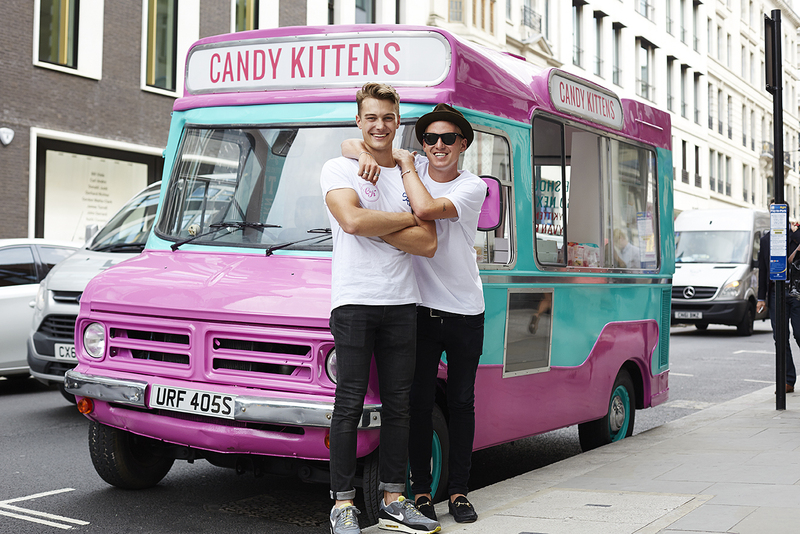 How has Candy Kittens been received by the public, as well as the industry? We have had a great response to our products. We are now stocked in Waitrose, TopShop, and Selfridges among others. Our products are in the USA, Germany, Netherlands and the Middle East. Finally, where do you hope to see Candy Kittens in the coming years? We want to increase our range of product and further improve our infrastructure, providing a heightened level of service to our growing list of retailers and online customers.